Spanish authorities have adopted a restrictive policy regarding the issuance of work and residence permits to foreign nationals. This results from several factors, including the high unemployment rate and the recent dramatic increase in the number of immigrants entering Spain, both legally and illegally, in the hope of obtaining Spanish, and ultimately European, citizenship. In accordance with this policy, Spanish authorities strictly enforce work permit requirements to encourage the hiring of Spaniards rather than foreign nationals. Specifically, the authorities strive to issue work permits only to foreign nationals who have special characteristics or who fall into one of the preference categories fixed by law. 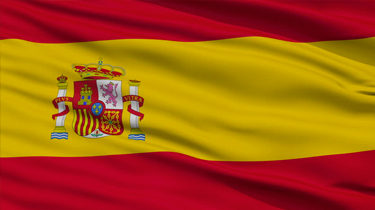 Nationals of non-EU countries who wish to work and reside in Spain must apply for work permits. Non-EU nationals may not work while their work permits are being processed. EU nationals are not required to apply for a work permit to undertake employment in Spain. Rules applicable to EEA nationals and to EU nationals also apply to nationals of Switzerland. Under Spanish domestic law, an individual must join the Spanish social insurance system if work and residence permits are received. Under Spanish domestic law, an individual must join the Spanish social insurance system if work and residence permits are received. The rate of social insurance contributions is 6.35% of salary for employees, and the rate for employer contributions is generally 30.15% of salary. For 2013, the maximum base for employee contributions is €41,108-40. For 2013, the maximum annual contribution is n, 610.38 for employees and €12,394. 18 per employee for employers.